There’s something about those packets of instant noodles that please – and at the same time, assault – the senses, especially when cooked. Instant ramen is nowhere near its Japanese equivalent; it’s just that hulking, dehydrated mass of carbohydrates and sodium, with those tiny morsels of dried herbs that cut the jaundiced mass with refreshing – and depressing – bits of green. There’s the consolation, too, that the noodles are nutritious. The mother, after attending to her brood, will now proceed to make the meal of the day. There’s enough fuel in the very small LPG tank for this one meal, while the rice has to be bought on credit from the nearby carinderia. In goes the noodles, in goes the flavoring packs. Flavors like “chicken” or “beef” don’t really matter; if they were really honest about it, “monosodium glutamate” makes for bad marketing. It’s just that: water, flour, and sodium. 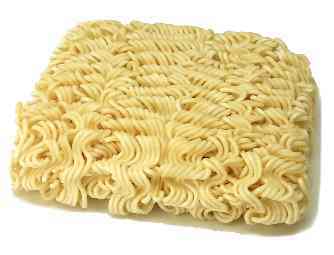 Besides, when you water down the noodles enough, whatever flavor is in there disappears. You don’t follow the ratio that there is in the pack, knowing that it takes two packs of instant noodles to completely satisfy the hunger of one grown person. Instead, you improvise; the point behind instant noodles is no longer to be a meal in itself, but as a condiment. It takes practice, but you can water down noodles enough – and cook them in such a way – that everyone gets to flavor their rice with broth. As Malacañang gives itself a pat on the back for the lower hunger incidence rates that apparently show that This Government’s programs work, it fails to understand a lot of things about hunger. If hunger is all about statistics derived from the results of a five-point Likert scale, then it’s all good. The problem is that hunger is not a mere issue of variance and kurtosis. Foster good health and adequate nutrition. We all eat something because it’s necessary. Remember that food pyramid back in grade school? Each part of that food pyramid satisfy nutrients, vitamins, and minerals needed by the body to make us grow, go, and glow. Besides, if we don’t eat, we get sick and we die. It’s a blinding flash of the obvious, but some people are oblivious to that, so it’s often necessary to repeat it. Foster human dignity. The fact that food is essential to survival means that food should also be an important measurement in the quality of life. Preferences to food may be subjective, but there is always that lower limit of what constitutes a meal. For that, we need to go back to health and adequate nutrition, as well as the context by which these meals take place. For all intents and purposes, that lower limit should satisfy – not merely delay – hunger. In the Philippines, the idea of a “meal” is rather common: that’s why you have this much rice, this as viand, a side to go with that viand, and something to wash that down with. Don’t get me wrong, statistics are very useful tools to evaluate stuff from a bird’s-eye view. The problem is that statistics are what they are: numbers. Without interpretations to back up statistical data, the numbers are pretty much useless. A 15% reduction in the incidence of hunger does not mean that the hunger mitigation programs of This Government actually work. I’m not saying that This Government is not doing anything to address the hunger, it’s just that most of the time, people take it upon themselves to solve their hunger. Just because the numbers agree with your program or initial hypothesis does not mean that you can give yourself a much-needed pat on the back. I subscribe to a little rule when I do what passes for “social analysis:” the extremes set the limits to – if not define – the means. The Bell curve, or an array of statistical data, often disregards outliers in any given set; in many distributions, it is often the case that the outlier data and not the mean that tells the best story of why the mean exists in the first place. This is why I think that an “obsession” with the gap between rich and poor exists; these may not be the stories we want or like to hear, but poverty has almost always been the pressing issue of our time. And it is often the case that food, and issues and stories surrounding food, that are the best indicators of poverty. It’s not about debunking statistics, as it is about looking into some examples of the extremes to see if they justify the means. The point here is not to debunk statistics and to say that the survey respondents “lied,” but to look at the exceptions that define the rules. Hunger may be an objective reality that we all have to face, but it is often a very subjective and personal experience. In a world defined by a lot of self-reliance and a (not necessarily wrong) belief that hunger and poverty is often caused by laziness, we sort of forget that some of the hardest workers in this country usually end up being the poorest and the hungriest. So why aren’t people hungry, why did the hunger incidence in this country drop, and why does Government pat itself on the back? It’s not that Government vegetable trucks are selling eggplants at very affordable prices, but because many hungry Filipinos have found substitutes for nutritious food that foster our humanity as well as our dietary needs. “Magpalipas ng gutom.” Rough English translation: “to pass hungry times,” or “pass the hunger.” In “pagpapalipas ng gutom,” the point is to substitute a meal with time; it is to ignore the body’s need for food and address the problem with something else. For most people, the solution is often to sleep for long hours in the morning all through mid-afternoon, effectively skipping two meals and maximizing meager resources for just one meal. In situations where there is food, substitution also works. The market is full of cheap foods that have, in many situations, worked to calm hunger pangs in a pinch. While they are anything but nutritious, you really can’t ask for much if you’re poor and hungry. Instead of those “Go,” “Glow,” and “Grow” foods that we have all learned to appreciate (and perhaps even hate) back in grade school, the foods available to the wretched hungry are substitutes for decent food. I don’t have to romanticize or give it a pathetic literary treatment, but I think we’re all familiar with food substitutes like cooking grease, thin gruel, salt, corn chips, small packets of peanuts, cigarettes, liquor, softdrinks, and the like. I don’t have a grand solution to end world hunger, much less hunger in the Philippines. I don’t eat at all, or eat “kain pusa” myself on occasion as a matter of personal choice (it’s unhealthy and self-destructive, I know). What I have been ranting about for the past couple of hours is that The Government should look beyond the statistics and not give itself a pat on the back just yet; to take the numbers with more than a grain of salt. While it is true that much of hunger should be solved by individuals and breadwinners at the household level, addressing hunger at a higher level should not be a goal of lowering the percentage; that does absolutely, positively nothing. This is why I think that The Government and its Agencies should treat hunger mitigation programs not only as a means to allow people to ingest and digest, but also to satisfy. Beyond the numbers; not that we’re going to feed the poor parmigiana or puttanesca, but that food programs and hunger mitigation projects can level the playing field a bit, and make it fair and possible for the hungry to sustain themselves in the long run. It’s more like the long process of making a malignant social problem like hunger become benign. As far as nutrition and satisfaction goes, I would rather have Government get rid of those “Sangkap Pinoy” instant noodles out of the relief packs and replace them with real grain, real vegetables, real protein sources, and real food. How do we go about that? To be honest, I don’t really know. Maybe, just maybe, we can start with incentives for farming and livestock, reduce spending in national defense and turn bullets to plowshares, backyard gardening, or mull over, at the very least, on ideas like turning idle land assets of This Government into farms subsidized by philantrophists and part of the national budget. Yet since every solution is met with more grains of salt, I guess we can come together to form at least one agreeable solution to the chronic problem of hunger. Not because we understand it or because we have a better idea of it, but because we care enough for those whose lives are almost always stories of hunger. Any solution, just not the cholera-colored mass that the poor feed themselves – and are fed – on a daily basis.